Young Songwriters of the Methow ROCKED!! The 2nd Annual Methow Valley Young Songwriters Summer Camp was a smashing spectacular success. Twelve gorgeous kids and myself enjoyed five days of songs and poems and singing and recording and giggling and worrying and wondering and finally giving the best dang performance ever at The Confluence Art Gallery in front of a crowd of awe-struck, beaming parents. Not to mention producing a 17 song CD!! These Songwriting Camps are the bomb and I have very little to do with it. There is magic when you follow your heart and put all your energy into the thing that makes you feel the most creative, the most productive and the most happy. Kids tend to have an easier time that adults with that sort of thing which is why I love being around them, When we give up on fear and open our hearts abundance flows, happiness abides, work doesn’t feel like work and the world becomes a better place. 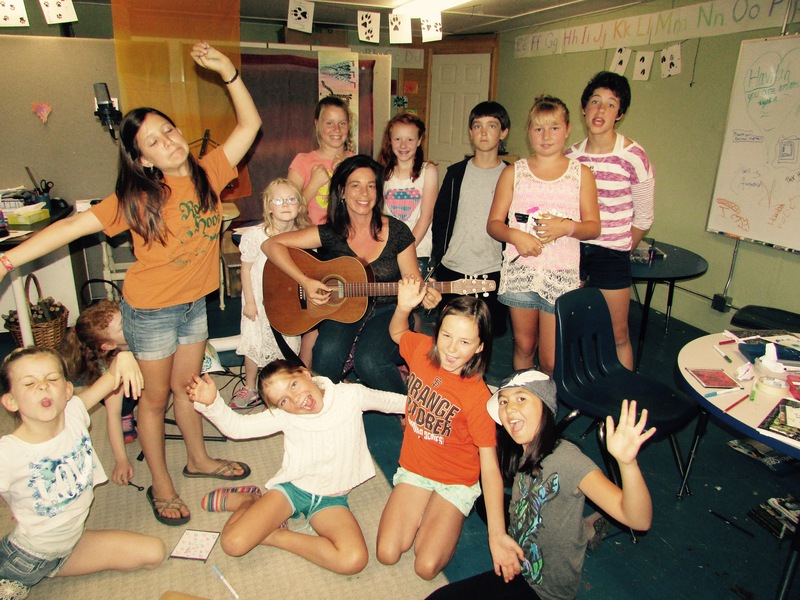 The Methow Vally Young Songwriters Camp is back by popular demand for Round 2 July 27-31st!! Contact Havilah at havilahrand@gmail.com to register. Bellingham Young Songwriters Camp June 29-July 3rd has one more space! Orcas Island Young Songwriters Camp July 17-19 still has space! This entry was posted in Classes and tagged creativity, havilah, kids, methow valley, music, songwriting, summer camps, teens, washington. Bookmark the permalink. ← Summer Camps Are Filling Up! !